Undoubtably the world’s best quarter wave loudspeakers. 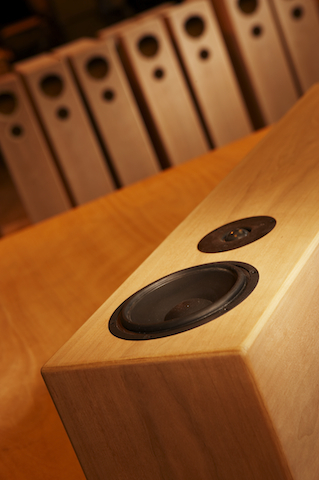 The Sugden LS21 loudspeaker like all Sugden products is handcrafted in the West Yorkshire, England factory by a team of highly skilled and dedicated enthusiasts. The LS21 is a tuned quarter wave design and uses a treble and mid/base driver ported through the plinth. The cabinet is compact but not compromised, being domestically acceptable at less than 1metre tall and less than 23cm wide. 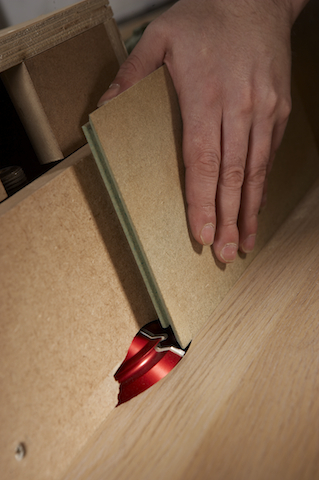 The cabinets are manufactured in house by Sugdens highly skilled cabinetmaker. 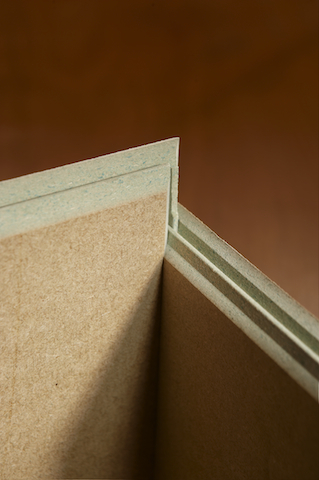 This includes all aspects of construction from machining to veneering. Sugden recently installed a joinery workshop that runs harmoniously along side of its existing custom engineering shop. 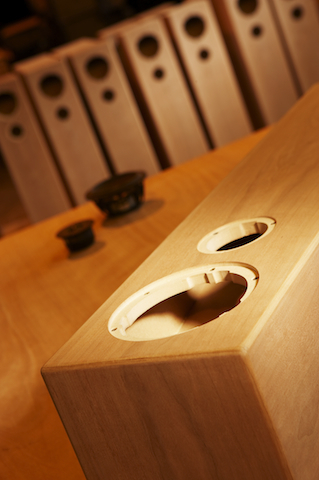 Sugden feel the fit and finish of a loudspeaker is very important both cosmetically and acoustically. Therefore the cabinets are assembled like fine furniture should be, including real hardwood edge inlays and bonded mitre corner locking joints. The veneers are crown cut and book matched, and then polished to produce a satin finish with a low level gloss. Over time this will result in a natural patina. Standard finishes are cherry, walnut and maple but other exotic finishes are available to order at an additional cost. 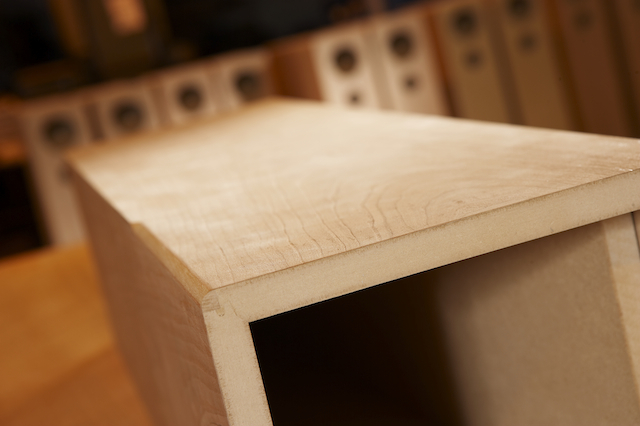 Smooth internal airflow is an important aspect of the quarter wave design, so the crossover has been removed from the internal cabinet and mounted in the loudspeaker plinth. 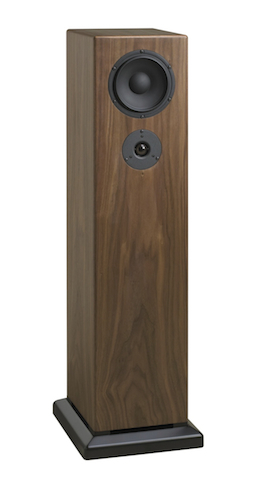 The components used in the crossover are audiophile quality, manufactured by Mundorf. Specifications for the treble unit include; large diameter voice coil, soft dome ferrofluid filled with a sensitivity of 90db and nominal impedance of 8 Ohms. Sugden chose the preferred bass/mid driver after careful matching to the cabinet design. It has an identical sensitivity and nominal impedance to the tweeter, aiding crossover design and uniformity. Again a large voice coil is employed and the chassis is die cast aluminium providing superior rigidity. During the development of the LS21 Sugden were lucky to work closely with one of UK’s most respected designers, Colin Walker. 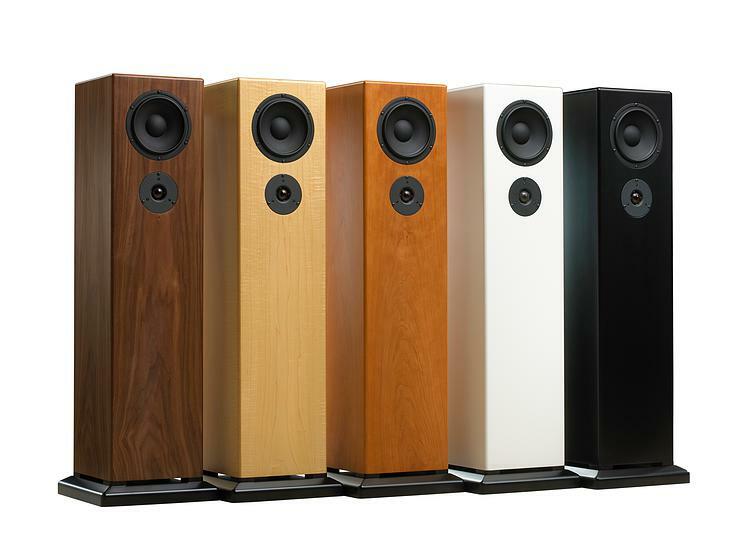 His involvement with specialist quarter wave loudspeakers spans an impressive six decades. The LS21 has undergone hundreds of hours of auditioning and refinement in Sugdens listening room. 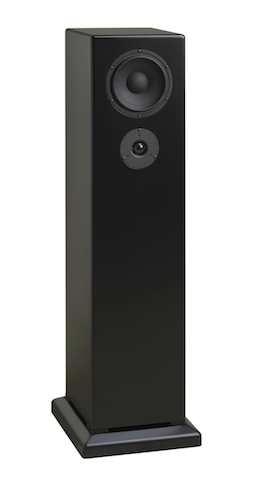 The result is a unique handcrafted loudspeaker capable of producing stunning realism in any top-notch audio system. With a sensitivity of almost 90dB the LS21 is not limited to any particular amplifier. It is suited to either low power Class ‘A’ designs or more common Class AB offerings. However, as the name suggests a SUGDEN A21a or A21SE would make fine partners. 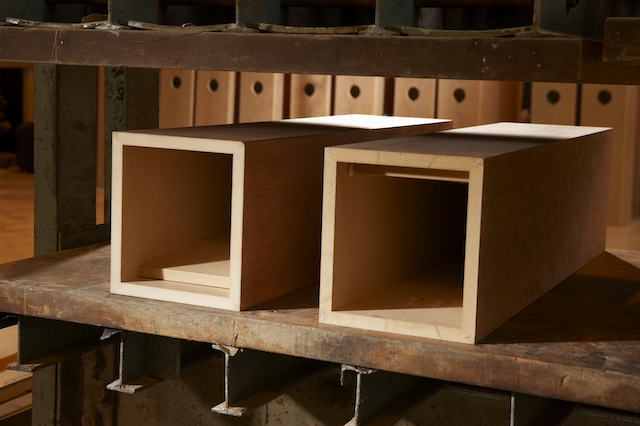 Due to the manufacturing techniques and bespoke nature of the Sugden loudspeakers every pair are generally hand-made to order. However, Neophonics carries the LS21 in Cherry finish in stock for prompt delivery to customers. Recommended Retail Price – AUD$7,595.00. Below a short series of images showing the individually hand-made process to make the LS21 Two-way tuned quarter wave design floor standing loudspeaker. 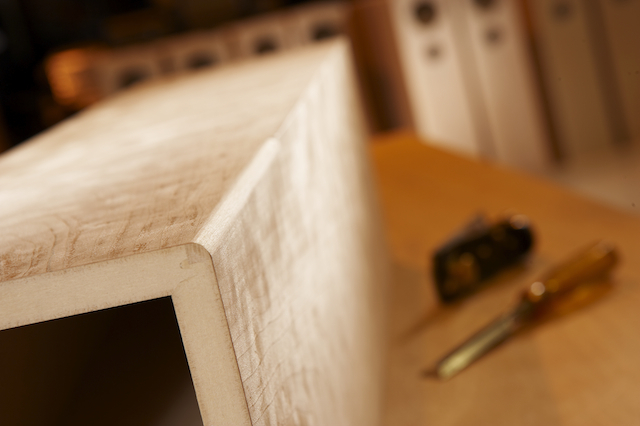 Machining of the high density particle board which is later double mitre locked to become a 23mm thick cabinet before the timber veneers are pressed on. 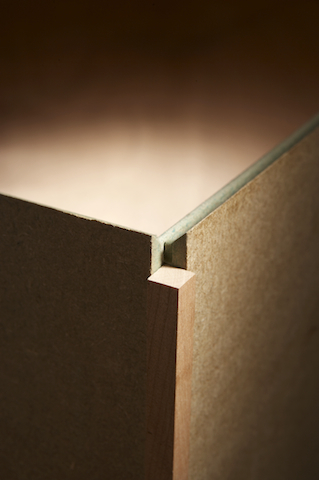 Cabinet structure double mitre corner locking joints. 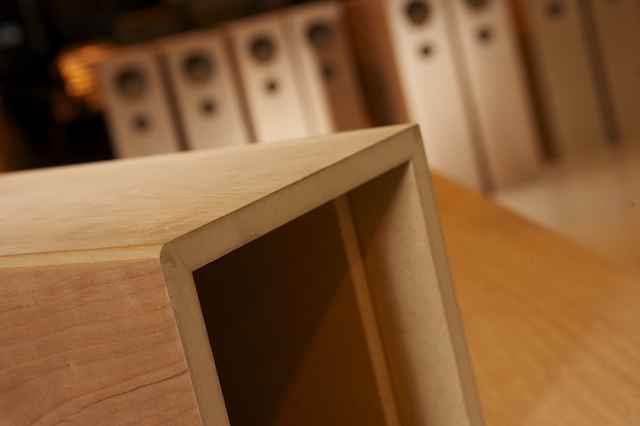 The Sugden LS21 Loudspeaker crossover components are audiophile quality manufactured by Mundorf Germany. 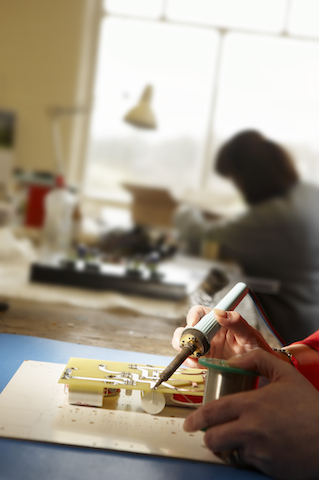 The components are hand soldered to the crossover board. 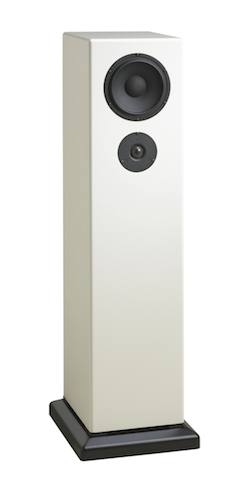 In quarter wave design loudspeakers smooth internal air flow is paramount, therefore Sugden has mounted the crossover in the loudspeaker plinth. 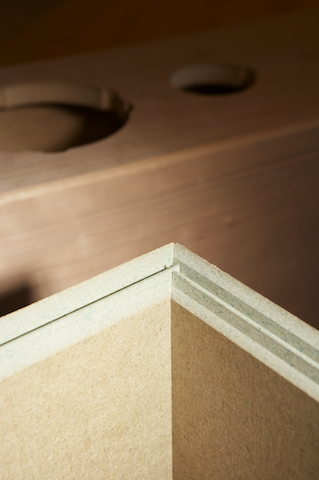 Real wood veneers are crown cut and book matched. Real wood veneers glued and pressed. 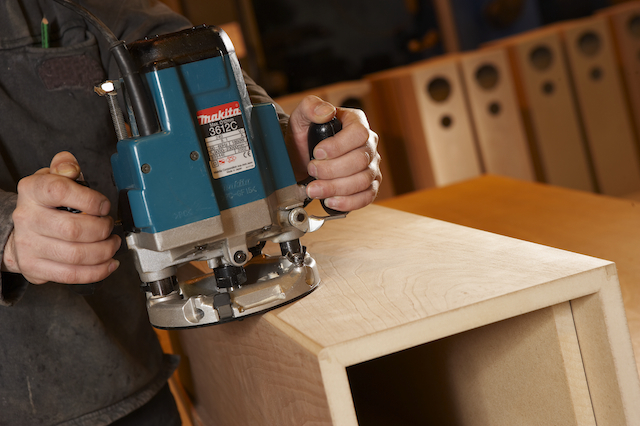 Template for accurate driver cut out of cabinets. Drivers installed. The LS21 are assembled like fine furniture. 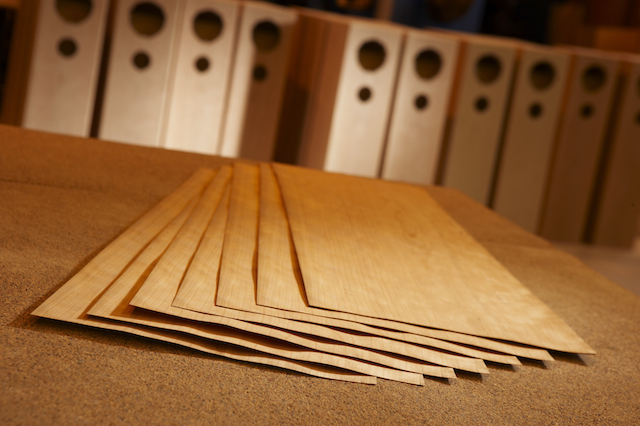 Sugden LS21 Loudspeakers are finished in real timber veneers, crown cut and book matched. In order shown: walnut, maple, cherry, white and black finishes. Due to bespoke construction other exotic finishers are available to order at an additional cost.